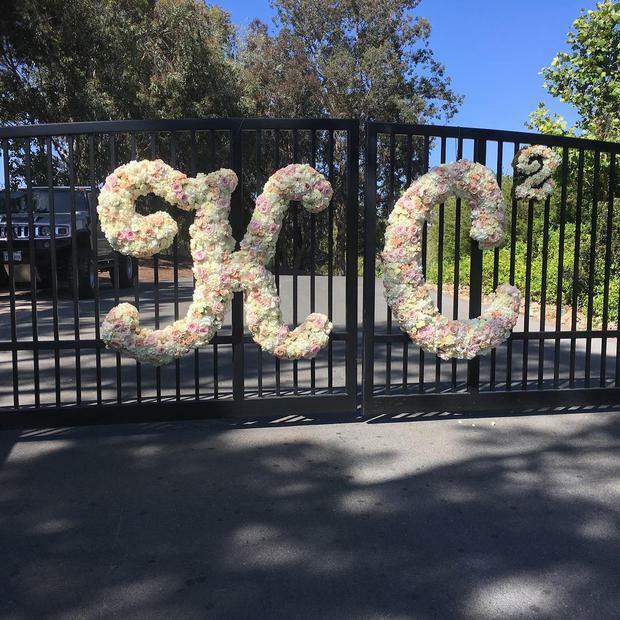 Bubbly actor Kaley Cuoco was never going to be quiet about her big day bash. 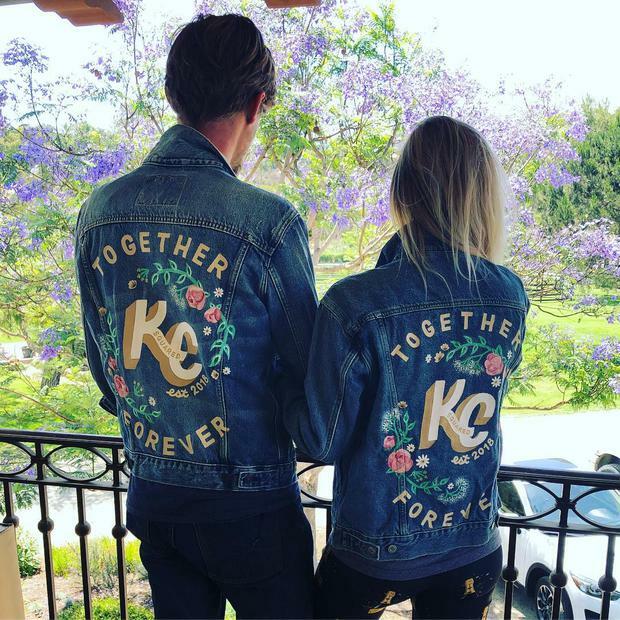 The Big Bang Theory star - who has been married once before - tied the knot with fiancé, equestrian Karl Cook this weekend, and the couple took things to the next level when it came to their animal-themed nuptials. 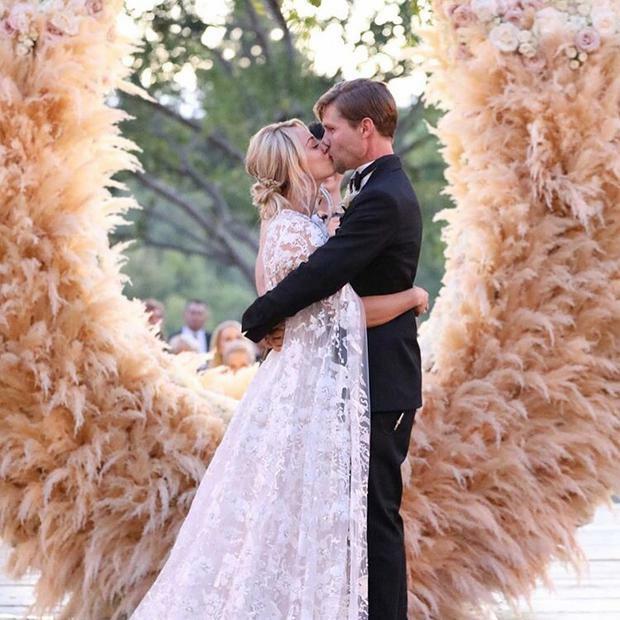 From their dramatic horse shoe shaped altar instillation to their personalised... well, everything, there was nothing subtle about the couple's lavish celebrations. 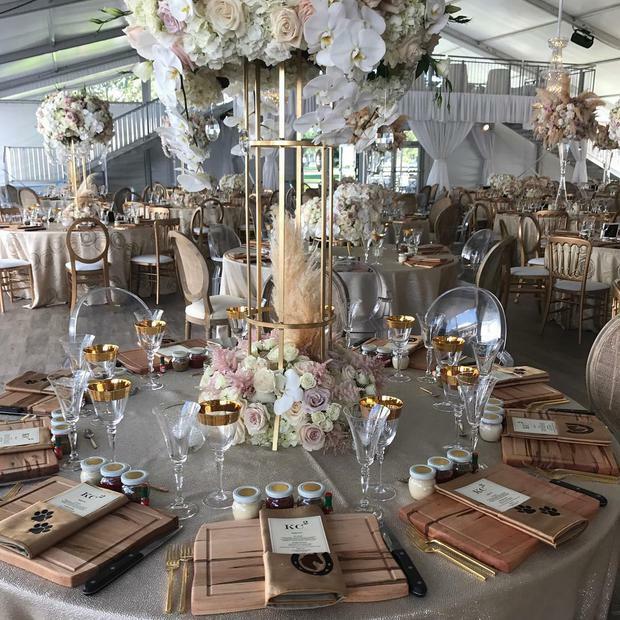 Here are some of the most 'wow factor' aspects of their big day, as co-ordinated and styled by Lauren Tatum Events. 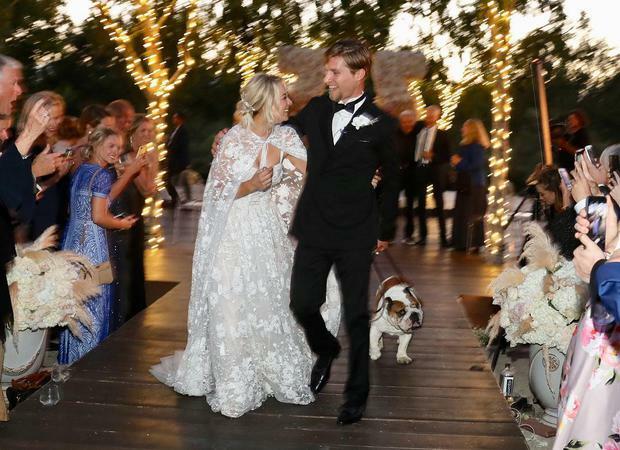 The couple tied the knot outdoors on a ranch, and the equestrian elements were strong throughout the wedding celebrations. 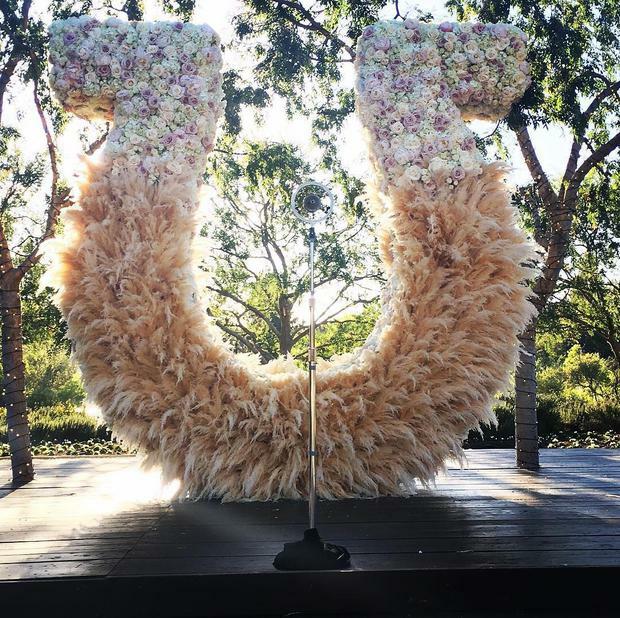 Not least with this stunning Pampa flower horseshoe instillation created by Hollywood based florist Yvonne Van Pelt of The Empty Vase, which served as a beautiful backdrop while the couple said their vows. 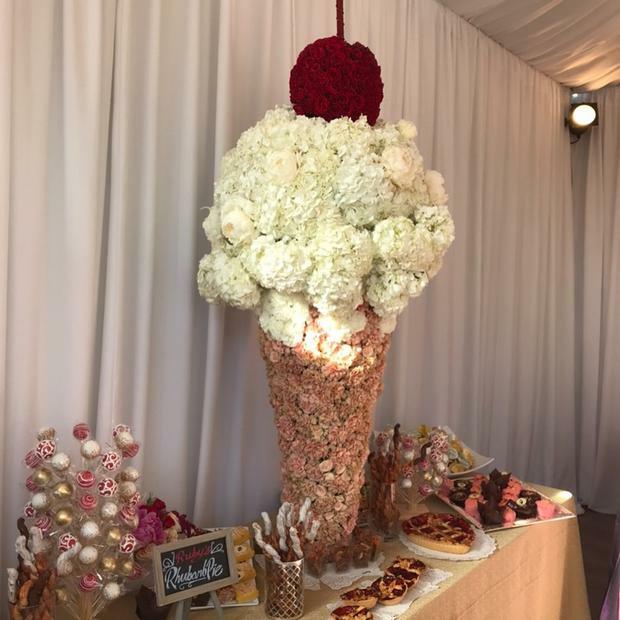 Everything about Kaley and Karl's reception was about treating their guests to a memorable day, and we're absolutely certain they didn't get a chance to go hungry. 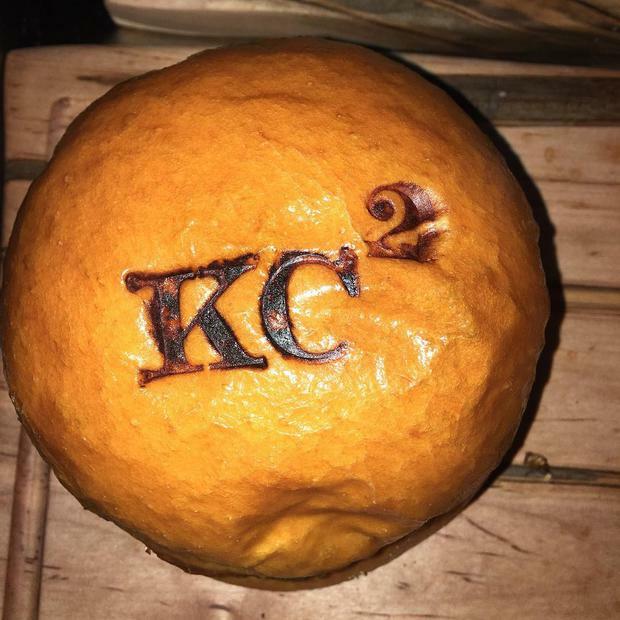 The couple's indulgent sweetie station consisted of sumptuous hand made treats like rice crispie squares tray back complete with the couple's KC2 monogram and photos as toppers, chocolate buns, lemon meringues, and horseshoe and dog-paw printed choccies. 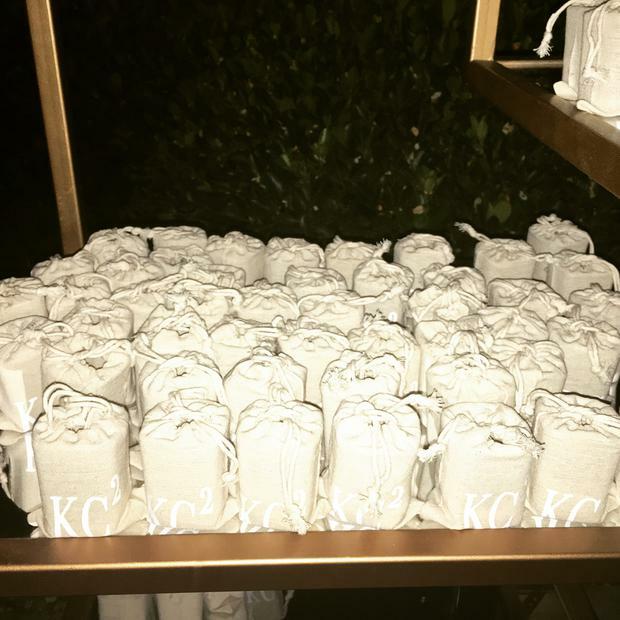 Usually it's just the bride who might treat herself to a wee beauty refresh before the couple make their big entrance to their reception, but Kaley and Karl were clearly all about spoiling their guests on the day. 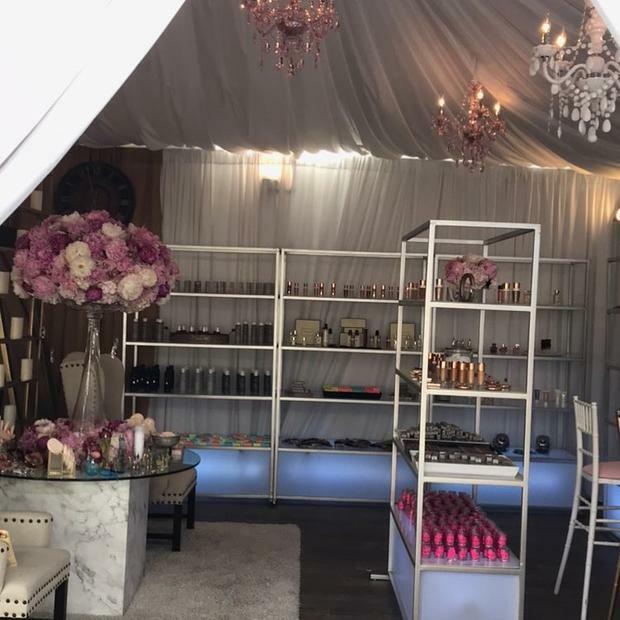 Noses were powdered by the professionals in this Sephora party refresh 'mini' beauty room which they had set up in their two-story tent. And in case you thought it was just the female - or at least the make-up wearing - guests who were being fawned over pre-reception you'd be wrong. 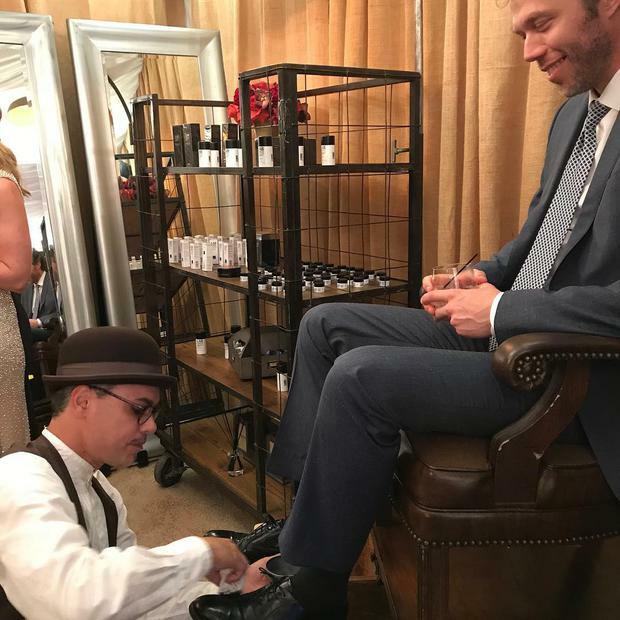 The couple also had a manned shoe shine station for those who needed an emergency polish after spending the ceremony on the grass. Not too shabby. 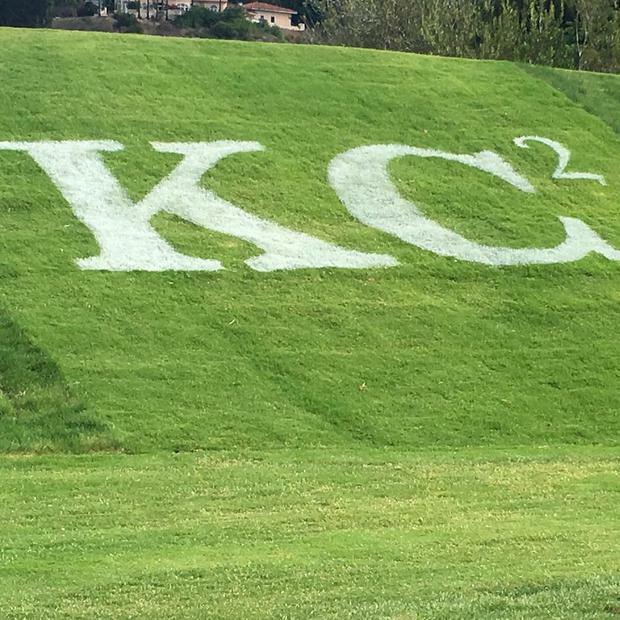 Everything got the KC2 treatment on the couple's big day, including their favours. 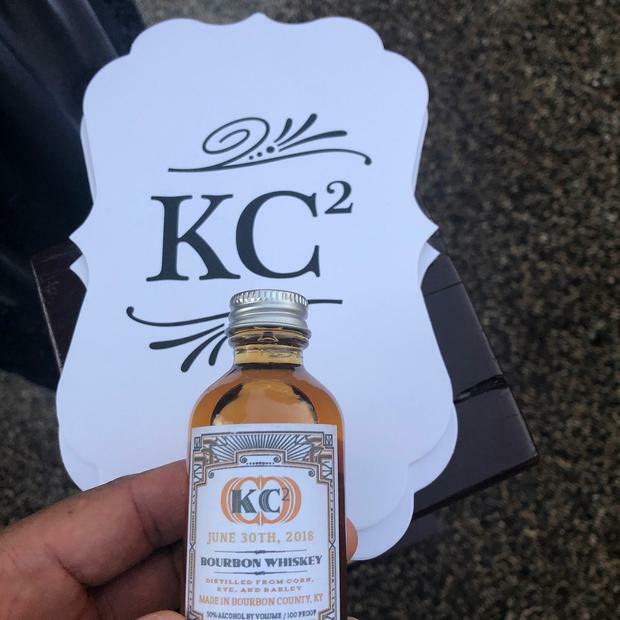 The couple gifted guests with a mini bottle of bourbon stamped with the date of the wedding at the ceremony, while they were presented with personalised mini white drawstring bags filled with tequila and personalised shot glasses as they left later that night. 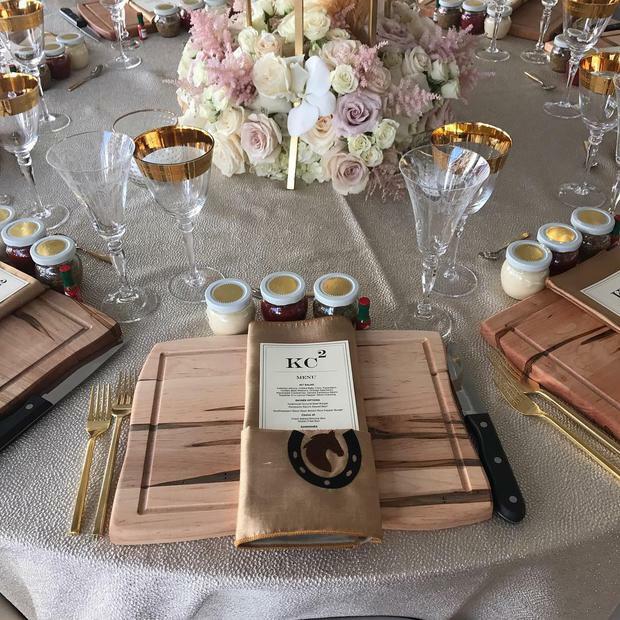 From the handmade wooden board 'dinner plates', gold cutlery and gold equestrian themed napkins to the personalised menus, dramatic floral centrepieces and chic clear 'ghost' chairs, it's clear the couple's co-ordinator and wedding stylist Lauren Tatum was given free reign when it came to creating a wedding reception with a 'wow factor'! We think they call this being 'extra'. Is this a thing? We've a feeling this might become a thing. Old timey 'cigarette girls' served sweets to guests later in the night. 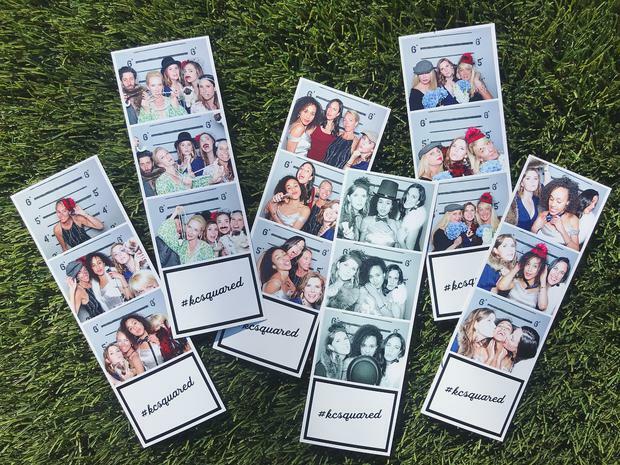 The couple had an vintage and equestrian themed photo booth for guests to have some fun and make some memories to take home after. 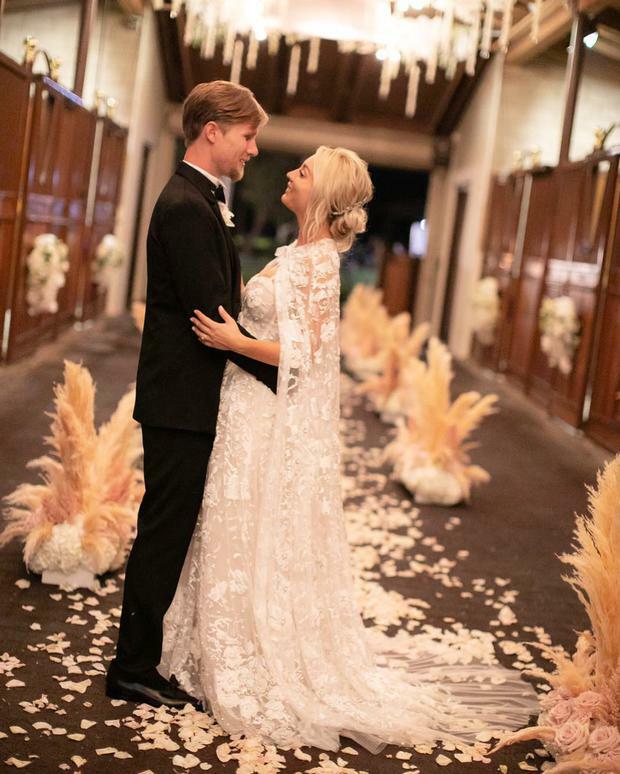 Kaley called her custom Reem Acra floor-skimming cape a 'dream', and it might become the same for many other brides after seeing her snaps. She wore it over a spaghetti strap A-line gown in the same fabric with her hair up in a chic low bun, and completed her look with a simple and elegant hair accessory by Jennifer Behr. 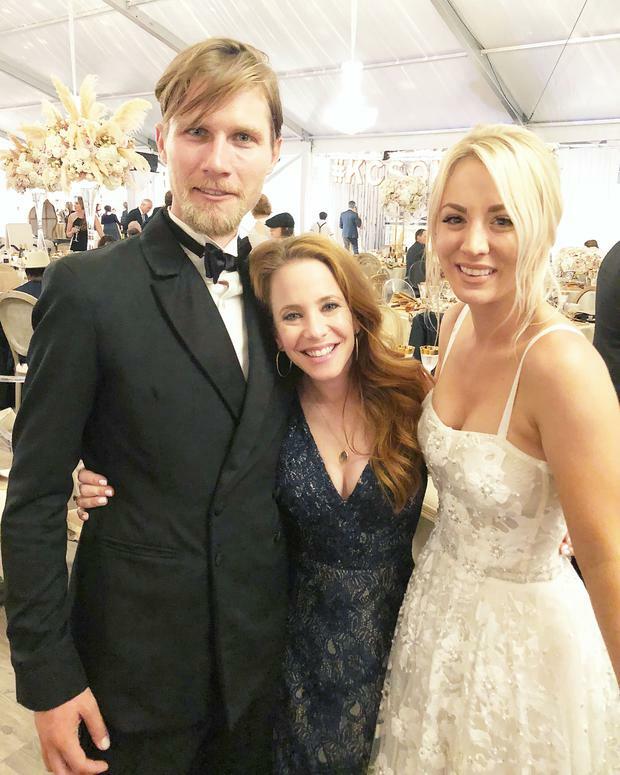 Kaley changed into a beautiful lace catsuit with a plunging scalloped neckline and white pumps for the couple's reception after. She looked incredibly comfortable as she took to the dancefloor to throw some serious shapes in a white cowboy hat later in the night. These guys look so in love that we've decided to find this cute. 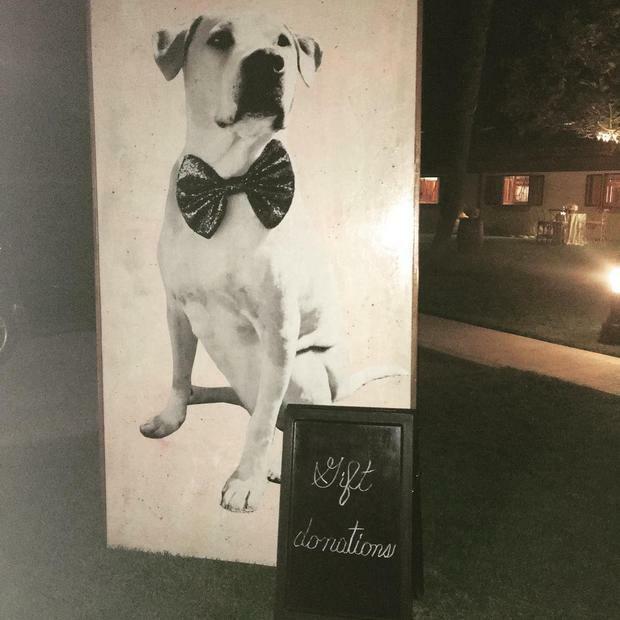 The couple asked friends not to bring wedding gifts, but to donate to their favourite animal charity instead, popping a great big sign up so that nobody would forget! 15. Did we mention they monogrammed everything?